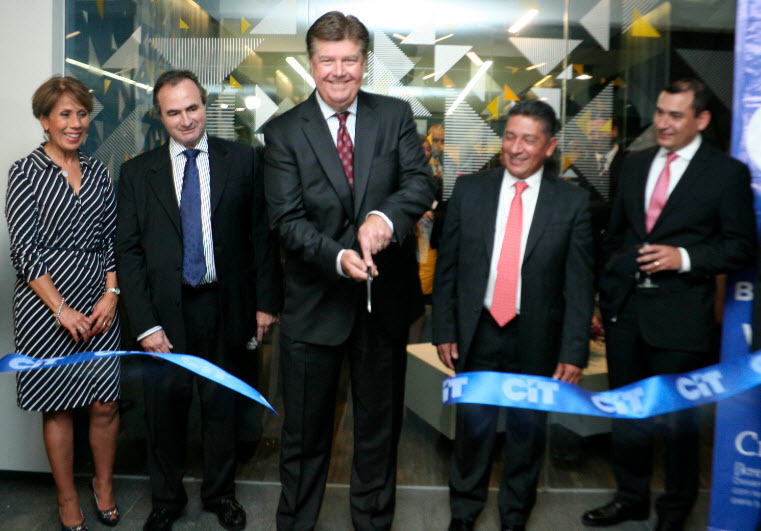 CIT Mexico is committed to providing unparalleled customer service to its customers and this new location provides us greater access to many of our key vendor partners. LIVINGSTON, N.J. & SANTA FE, Mexico--(BUSINESS WIRE)--CIT Group Inc. (NYSE: CIT), a leading provider of financing and advisory services to small businesses and middle market companies, today announced that it relocated its Mexico office to Mexico City’s district of Santa Fe, as it looks to increase its market share and take advantage of the growth opportunities in the Mexican equipment financing market. The 1,470 square meter (15,800 square foot) office, located at Javier Barros 540, Lomas de Santa Fe, Alvaro Obregon employs 110 individuals and offers CIT greater proximity to its customers and additional space to grow its business. CIT has had a presence in Mexico since 1994. The state-of-the-art office will support CIT Mexico and service CIT’s clients in the construction, IT, office products, printing, telecomm and transportation sectors.